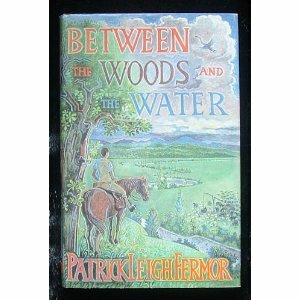 I have recently finished reading the fantastic ‘Between the Woods and the Water’ - Patrick Leigh Fermor (A title I liked so much I nabbed and, with out meaning to, para-phrased for this blog). In 1933, between the wars, the eighteen year old Leigh Fermor under took an expedition on foot across Europe from The Hook of Holland to Constantinople in Turkey. Between the Woods and Water is the middle part of his record of the journey which and documents his travel across Hungary and Romania (including Transylvania). The book is an amazing document of what those countries were like in a period now lost to history and an interesting education in the much more distant history of that part of the world. Beyond that it is a wonderful tale of his adventure, the people he met and the places he went. I was particularly interested in his very minimal kit which he carried with him. Despite the fact he was often a guest in a châteaux or castle or other comfortable quarter he also spent nights in hay stacks and under beech trees. What a long journey he travelled with such a little inventory. It just goes to show that you don't need more than a worn in pair of stout boots and a pack with a useful knife and a few other items to get you down the road.